I am a member of the UKMAMS OBA and saw your recent request for info on the para school at Abingdon. I am in touch with an ex PJI who served at Abingdon and he may be able to help you in your search. His name is Bob Garrett and he lives at the Gold Coast in Queensland. His e-mail address is b.garrett@bigpond.com . Thanks for your help - info flooding in. I received the e-mail address of an ex-PJI who served at Abingdon living right here in OZ. It's unbelievable how many people connected! If that is not the answer then you have successfully lead me down the garden path! Slight progress on the search for the new computer and not only will the Russian aircraft have to rely on Big Bill's program for load and balance but also the ATF fleet and the RAF Movers might also get to despatch aircraft using it. That is even scarier Big Bill! Early days though as Bill Kearney only demonstrated the system to me last Wednesday. All I can say is that I liked it's logic . More impressively it is intuitive and easy to use and falls into one of my key user criterion, i.e. “k.i.s.s.” (Keep It Simple Stupid!). Regards for now talk to you anon. You gave most of it away in Les's profile. It's Les Charlesworth at west Raynham early 70s. The little feller is Merv 'The Swerve' Corke. (He's still alive and kicking. Although retired, Merv manages to make every 'Meet & Greet' in the RAFA, he's now got to be in his early 70s). The guy centre in the back of the aircraft looks like Gerry Phelan, although I never knew him ever getting his hands dirty!! Had a coffee with Hugh Curran the other day and although between us we must have completed 200 missex's we don't have any photos of them being loaded (bar the nose wheel shot I took of Gourdie when Gus Hatter tipped one!). We may have been warned off about security or were otherwise always too busy. An Army grunt stands in the rain with a 35-pound pack on his back, 15 lb. weapon in hand, after having marched 12 miles, and says, "This is sh*t!" A Para stands in the rain with a 45 lb. pack on his back, weapon in hand, after having jumped from an airplane and marched 18 miles, and says with a smile, "This is good sh*t!" An SBS operative lies in the mud, 55 LB pack on his back, weapon in hand, after swimming 10 miles to shore, crawling through a swamp and marching 25 miles at night past the enemy positions, says with a grin, "This really is great sh*t."
A Marine, up to his nose in the stinking, bug infested mud of a swamp with a 65 LB pack on his back and a weapon in both hands after jumping from an aircraft at high altitude, into the ocean, swimming 12 miles to the shore, killing several alligators to enter the swamp, then crawling 30 miles through the brush to assault an enemy camp, says, "I love this sh*t."
The Air Movements NCO sits in an easy chair in an air-conditioned office, and says, "My MMARS is down! What kind of sh*t is this?" 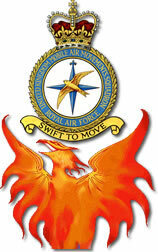 I typed “101 Club RAF Abingdon” on a search engine and up popped your site! I was on course AVR 18/68 14th-28th Sept 1968 which I enjoyed thoroughly and the "wets" in the 101. Funny things I remember. The Morgan Plus Eight was just out (in orange and, er... orange) and that ghastly dirge "Hey Jude!" was the rage. Thirty four years ago and it seems like yesterday. [Ed: Oh Moss - Now you've done it - riled a Beatles fan! I must take you to issue on what you describe as "that ghastly dirge." I realise it's a case of "each to his own", but this song in particular has a real message. When John Lennon and Yoko Ono began living together in 1968, divorce proceedings began between John and his wife Cynthia. Paul McCartney, who was very close to John and Cynthia's son, Julian, was concerned over John's marriage breaking up, and in support of Cynthia and Julian, wrote this song. Originally titled "Hey Julian," it later developed to "Hey Jules," then finally "Hey Jude," because it was thought Jude was a stronger sounding name. Many thanks for the kindly messages (e.g. John Holloway). I have duly taken Draught Bass (John) Benny 'n 'ots (the Whithams) Bundaberg Rum (the locals) and am happy to report I've gone back to work. Overdoing it again Jack !! Do you have data on a pilot named Charlie Voss who flew supplies for the Contras and for U.S. government agencies in Nicaragua during the 1980's? I believe he is based in Florida. I had your e-mail a couple of days back and have managed to find Tom Thweatt's original letter (and David Stevens' rather optimistic evaluation of my knowledge). I will get in contact with Tom to see in more detail what he wants, but apart from some info on KKIA, I don't think I will be able to help much. During Desert Storm I was at Jeddah and have plenty of photos of the USAF involvement there and the Saudi element with their C-130s, but I have a feeling that if there is anyone in your organization that can help, they should still get in touch with Tom. I will do what I can but with my return to the UK I have no contacts in the C-130 world in Saudi. Sorry I had not replied sooner to your kind invitation to become a member of the UKMAMS Old Boys Association, but the last 3 months have been very hectic for me. I have now had an added incentive to contact you as Ian Berry has sent me a copy of an enquiry from one Josie Bailey. This at first must have appeared that some 'femme fatale' from a more sinister part of my past life has made a desperate attempt to contact me. I can assure you that I am not hiding any paternity suites or any other such thing. Josie Bailey is a friend of the family who we first met in Libya in 1968, but lost contact with during the mid 70s. We (that includes Shirley my wife), would dearly like to make contact with her again. Please don't take any action yourself as we will be sending her an e-mail, and want to make the initial response a little humorous. Meanwhile may I become a member and how do I go about it. You can, I am sure, vouch I meet the criteria as stated in your mail-shot. Subject: Abingdon and PJI’s etc. When I read Kevin Kavanagh's letter, regarding tower hanger training aids and fans, I was reminded of an amusing story attributed to Jack Worrell. It seems one day a problem occurred with the parachute fan and Jack was dispatched to repair it. He climbed up into the hangar rafters and began his repairs. Meanwhile a new class of paras arrived and was being instructed in typical army fashion on the correct way to make a jump, land and roll correctly, and the many perils of not following the prescribed procedures. About mid way through the class Jack finished his repairs, grabbed hold of the parachute harness with one hand, and with his tool bag in the other, descended looking somewhat like Mary Poppins to make a perfect stand-up landing! The PJI was not amused! Thanks again Tony for a great web site. It’s terrific to read the letters and see the names of old friends. Due to technical difficulties at our printers, the print run of our July 5 edition did not meet our usual high standard. As a consequence, we decided to recall the print run and have the edition re-printed. Inevitably, this will have caused some delay to our distribution and some readers may not have received their paper on time. Unfortunately, we were unable to recall some copies sent to overseas locations, and we apologize to those readers who received sub-standard papers. The technical problems were beyond the control of the staff of the RAF News and we trust that our prompt action in reprinting the edition has minimized inconvenience to our readers. 35 MPH is the average speed most cars travel on interstate highways during peak morning and afternoon rush. 96% of a cucumber is water. A 2x4 is 1 1/2 x 3 1/2. A cat uses his whiskers to determine if a space is too small to squeeze through! A crocodile can't move his tongue. A dragonfly has a life span of twenty-four hours. A fifteen letter word with no letters repeated is uncopyrightable. A giraffe can clean its ears with its 21 inch tongue! A human foetus has fingerprints after three months. A monkey was once tried and convicted for smoking a cigarette in Indiana. According to a British law passed in 1845, attempting to commit suicide was a capital offence. Offenders could be hanged for trying. According to the Texas Department of Transportation, one person is killed annually painting stripes on the state's highways and roads.